Dead or Alive 5 Falcom Character Collaboration – Who’s Who? While there are some well known characters in this batch, we also have a surprise obscure retro character in the set as well. And for those who are unfamiliar with the Kiseki series, there may be some characters that aren’t recognizable as well. 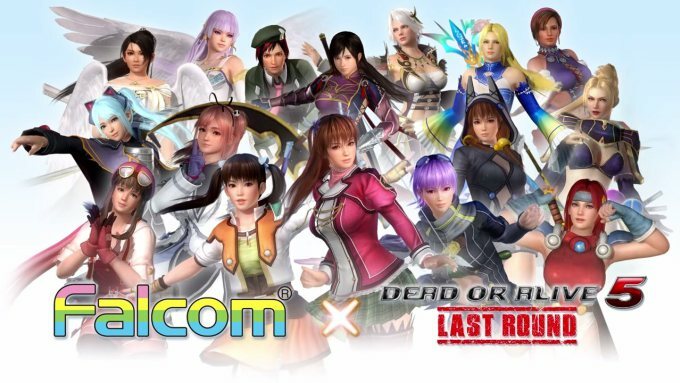 As a result, let’s do a quick list of the name, the DOA5 costume, and the original character! The characters, in order in the trailer (top image is the DOA costume, obviously, bottom is Falcom’s art of the character) are all behind the cut. I’ve been on a reading binge of the Lost Universe novels by Hajime Kanzaka lately. This is the origin of my favorite anime series of all time. The story is fun, light hearted, but manages to take a powerfully dark and tragic turn in it. It’s very clearly in Kanzaka’s style, but it still is very shocking what is going on under the surface of this series. A close friend of mine has even outright said that one of the series protagonists, Canal Vorfeed, is probably one of the most tragic characters in anime, when you look at her existence and backstory. And that’s part of what makes it so amazing. But what I’m here for, at the moment, is to talk about the anime itself. 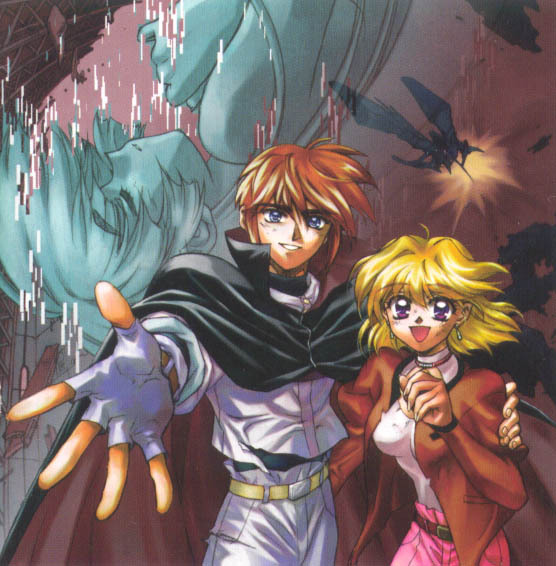 While I don’t have the details for it, the anime series itself was rife with weird issues, mainly in a combination of budget and production problems. This resulted in an infamously bad episode, even- called ‘Feasting on the Coconut Crab.’ This is the fourth episode of the series and has managed to garner a bit of a sad reputation with the series. When the series was released, the episode had actually been reanimated to fix most of the problems. Of course, once the series hits its halfway point, many of the production issues have faded, and it becomes relatively straight forward on it- which is sad, because this is where you find the meat of the story. A lot of setup had gone in through the first half, which begins to come into play into the story that had been boiling under the surface the whole time. Sadly, when you look up the series on youtube, and try to find the opening, all you can find is the early production version of the opening, rather than the complete version. I’ve discovered that this is because youtube will scan and recognize the video as ‘episode one’ then issue an automatic copyright block on it, despite the length of the video. As a result, I’m hosting the video here, where you can see it properly. After writing about this, however. I’m starting to think I may start writing about what I’ve read in the novels as well. So that may be coming up later on anyway. This is the first of three posts I’ve seen on the Japanese blog regarding these updates. I will be breaking them up over multiple posts, since they’ll all be very very long, and it’ll be easier to read them in small batches. 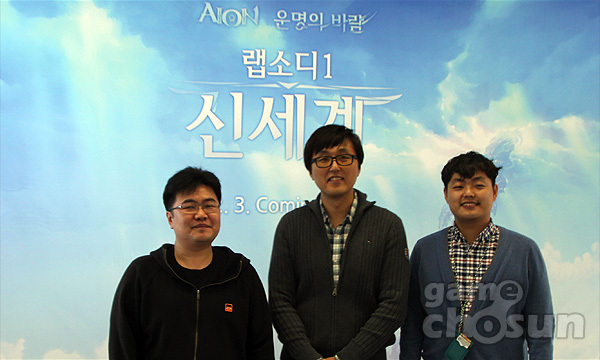 Multiple blog posts will make up this article on Aion’s new update. Originally, people had called it 5.0 and I’ve also seen 4.8, but I’ve since learned that they’re no longer assigning numbers to the expansions. This particular expansion I’m seeing is called the ‘Wind of Destiny’ and is a massive, sweeping change over the entire game as a whole. 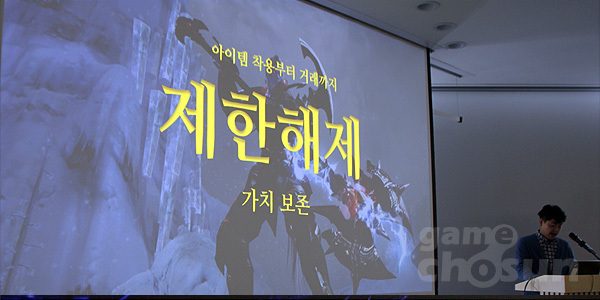 The first part of the Wind of Destiny will happen on the Korean servers in December. This update will contain a skillset reorganization, new ‘grown’ [ed: not quite sure the exact meaning on this], new regions, new contents, the fourth dragon lord, Beritra and the arrival of Triniel. 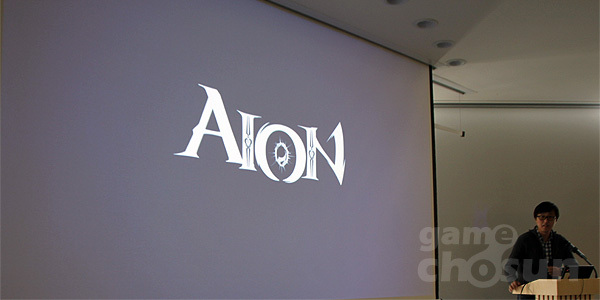 A key part of this update will be introducing new members to the Aion development team- a new lead director and new assistant design director will be involved in this project. 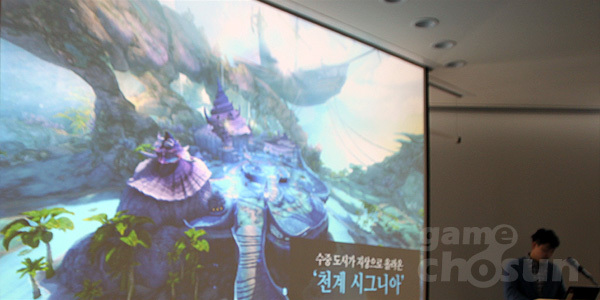 They held a question and answer session regarding ‘Rhapsody 1’ of the Wind of Destiny update at the development offices. 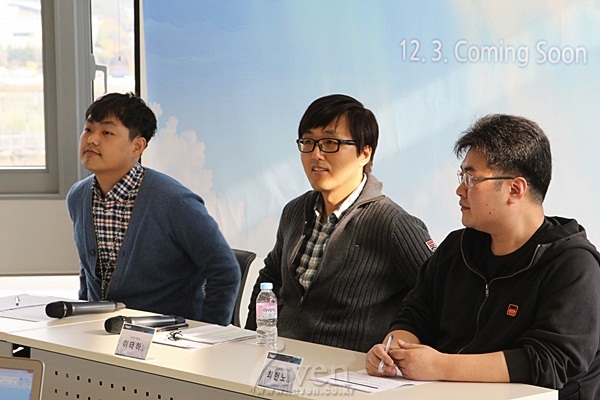 The first question from the reporters was to find out what will be happening with the Wind of Destiny update and to get information from it. They were told that the focus for this update will be to simplify the system and contents for the userbase. 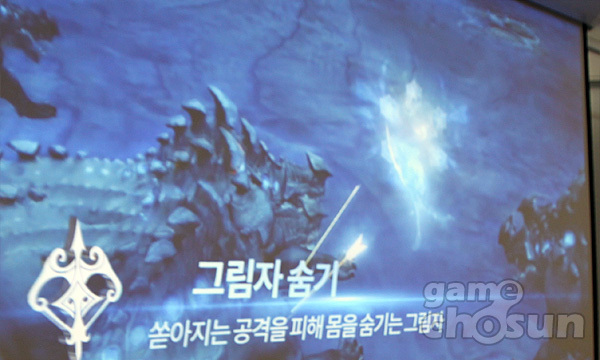 Everything from user interface, item setting, quests, skills, will be streamlined for optimization and convenience. With these changes will also come in higher level contents. However, character levels will not increase. Instead, they will be introducing a new growth system. 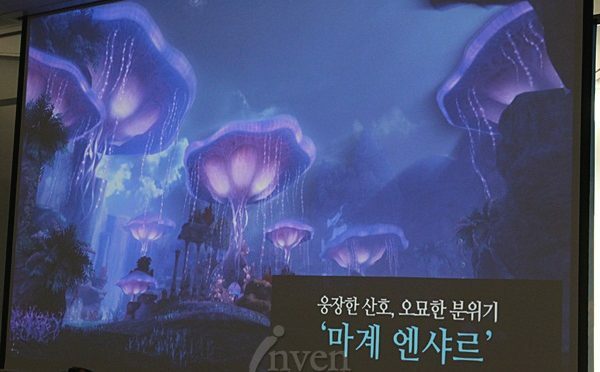 They will be offering objectives to both new and veteran players to Aion, but they wish to bring about a new ‘romance’ to the game. This will serve as a major turning point to both Elyos and Asmodians alike. The update title is Wind of Destiny, and this this particular update, called Rhapsody 1: The New World’ are planned to go live on test servers on November 12. There are future plans for Rhapsody 2 and Rhapsody 3, the later updates. The biggest change of this update will be the ‘Unification of Balaurea.’ Along with this, the arrival of the two new regions, Heavenly Sigunia [Maybe Cygnia?] and Hellish Enshar, and a city will rise from under the sea. 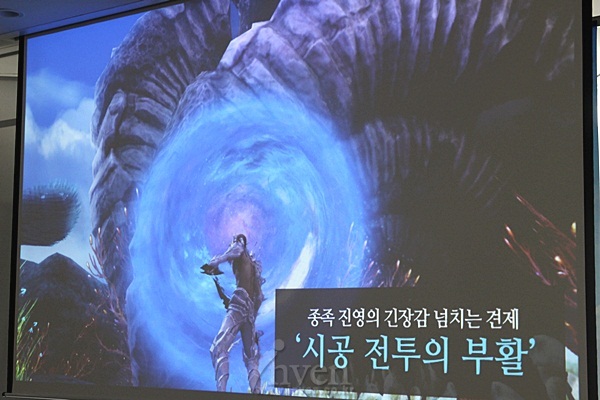 Not only this, but the rifting battle system will be revived as well. 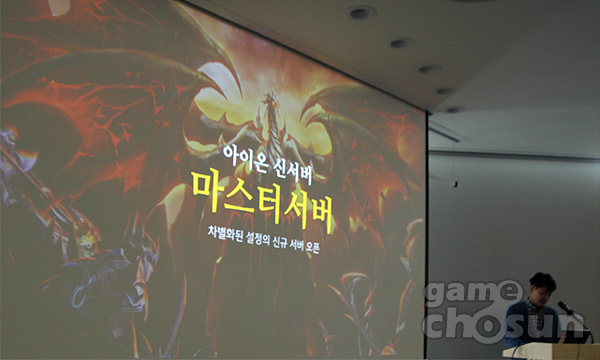 Legions will be able to utilize 72 man rifts, alliances can use 24 man rifts, and leagues can use 144 man rifts. Users will be able to gain many PVP points through these rifts, and they will all join together into camps on the other side. You can be labeled an ‘Attacker’ if you come to the enemy side via a rift and succeed, or you can become a ‘Guardian’ if you push back the enemy coming to your location via the rift. When asked about the new regions, they have explained that there are plans to merge the existing Balaurea regions into one, with Sarpan at the center. This will include Inggison, Gelkmaros, and Tiamaranta. While the terrain is being changed, some of the instances that exist in Balaurea will be updated and some will be completely removed. This update will reveal Beritra’s plot, and it will also introduce Triniel to the stage and he will be taking part in the plans to capture Beritra. 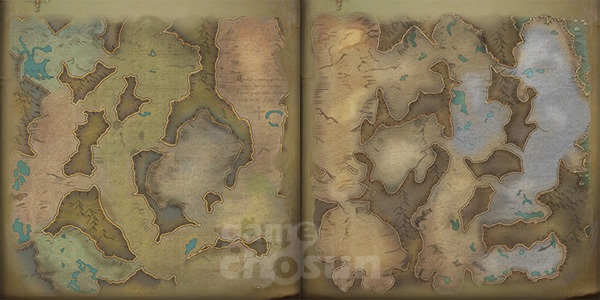 Beritra’s actions will cause the arrival of new instances, whereas some of the existing dungeons in Balaurea will be updated. 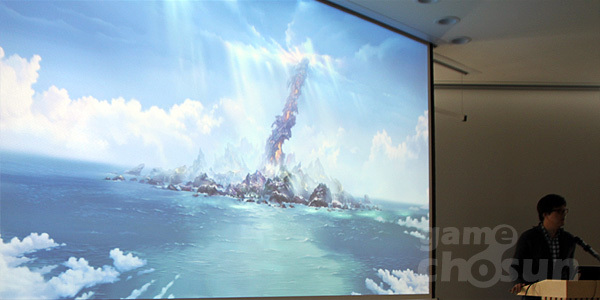 Regarding the rifting updates, many players found enjoyment in the rifting system. With the recent updates to the growth systems, newer players have drifted away from the rifting while older users still wished to participate in it. As such the new rifting system is being added in. Reporters also asked about the skill reorganization that had been mentioned before and wanted to know what the developers meant by that. They responded that the skills will be changing through a ‘skill growth system.’ With the desire to create more convenience and efficiency, they intend to integrate currently existing skills, as well as upgrades and adjustments. 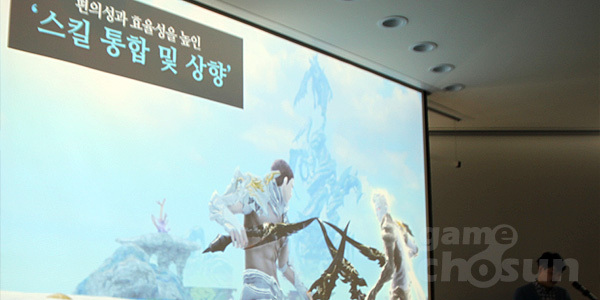 The new Skill Strengthening system will prepare players for the Stigma Evolution as well. A question that many players will probably be interested in is knowing about what kind of new skills will be available for the various classes. 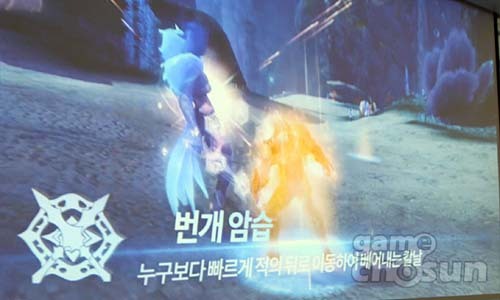 Gladiators will see Rupturing Spirit Blade, a single powerful attack to strike enemies at a distance, and Pulverizing Whirlwind, a whirlwind attack to target multiple enemies in within its range. With Templars, there will be Punishing Reflection, giving the templar the ability to reflect a skill back on their enemy, and Vampiric Discipline, a skill to allow a templar to regain health based on the amount of damage they deal. 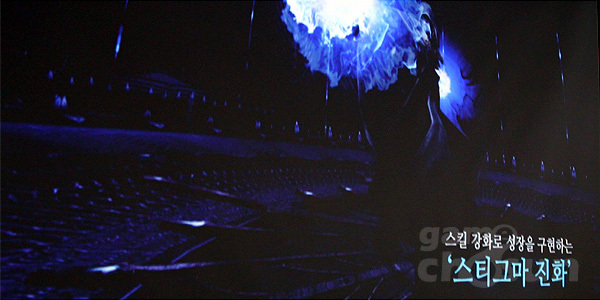 Assassins will see Glimmering Sphere, which will cause enemies within range to lose targeting, and Lightning Ambush, a charging back attack on enemies at a distance. 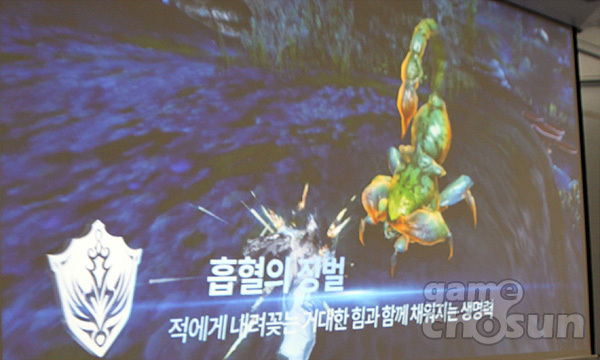 For the Rangers, there will be Piercing Arrow, which causes both enemy damage and stun, as well as Shadow Hide, which will allow the ranger to go into hide while in combat. Some new skills for Sorcerers include Life’s Breeze, which will put an area of enemies to sleep, and Grace of Flames, which will amplify magical power, while reducing MP consumption. 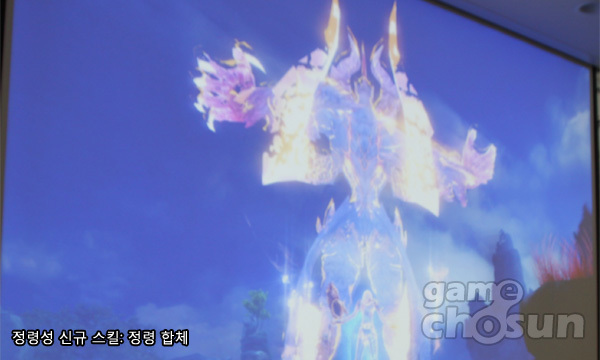 New skills for Spiritmasters include Spirit Union, where the spiritmaster will unify with the spirit to increase their movement speed, casting speed, and magical power, and Wide Area Absorption, which damage enemies around the spiritmaster and regen HP. Clerics will now have Reinforcing Splendor, which will restore all [ed: maybe?] HP, and Judgement Seal which will weaken enemy resistances. For the Chanters, there is Powerful Gust, a single attack that will strike all enemies around the chanter, and Spell Seal which will weaken the concentration of their enemies. Gunners will have Multi-Bombardment, where they fire multiple cannonballs at distant enemies, and Wild Magic Bullet Fire [ed: sorta? Trying ot make this sound good doesn’t work. Lit. 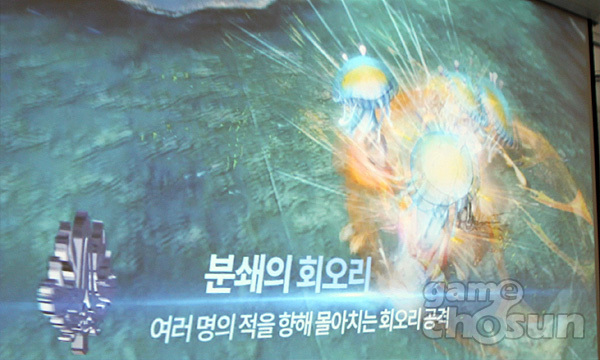 ‘Blindly Firing Magical Bullets’] where they send a number of hits to any approaching enemies. 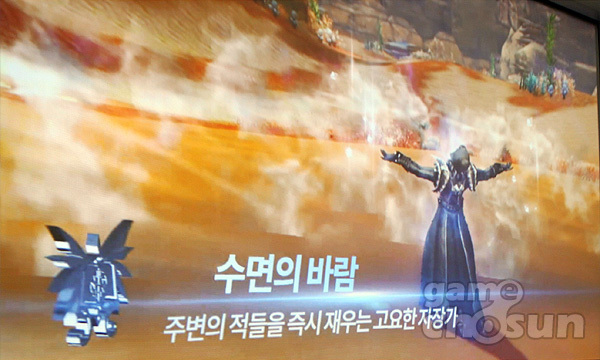 The Songweavers will have Illusionary Variation, a powerful single attack, and Purification Nocturne, which will have a purification effect on all party members. …and last, but not least, the Aethertechs will see Photoelectric Wave, which is an AOE whip attack to stun multiple enemies, and Idium Detonation, which is a massive explosion attack from the bastion. 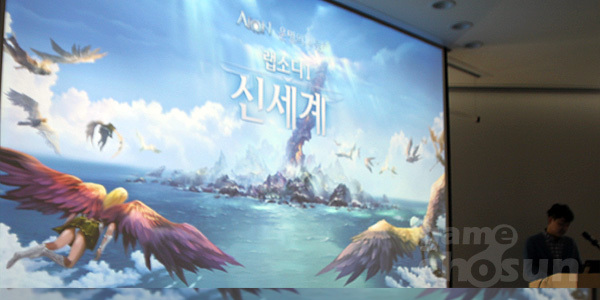 Other questions that were asked during the event were related to the ‘Aion Master Server,’ which is specifically based on the local servers in Korea. This server will limit the character levels, and classes. 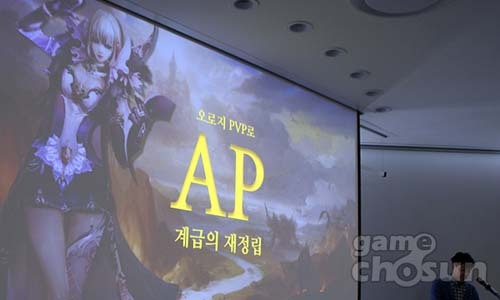 AP can be accumulated through PVP but items being equipped or transactions related to them will be restricted. More details on this server will be available on 11/21 when it opens. 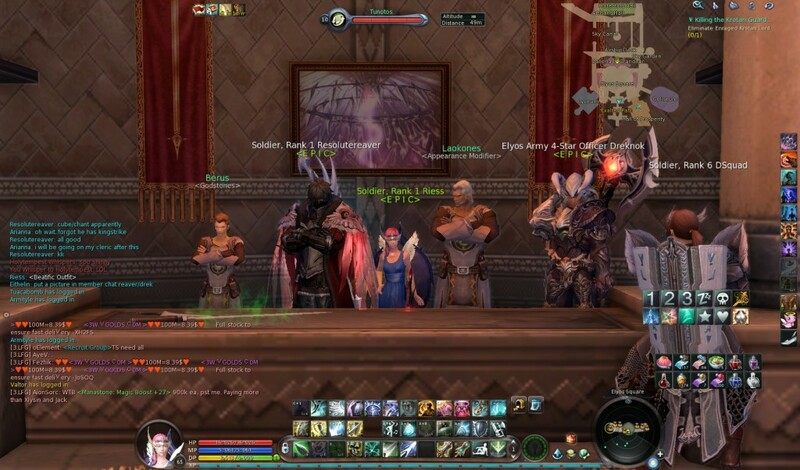 They plan for the master server to have a high value on kinah and to see about making changes to the server economy. They were also asked about what they thought about the glory point system after having it implemented over the past year. 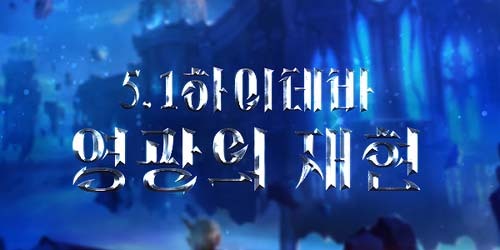 The developers have stated that they have heard the criticisms regarding the current methods of acquiring GP through sieges and arena battles, which are set at fixed times. 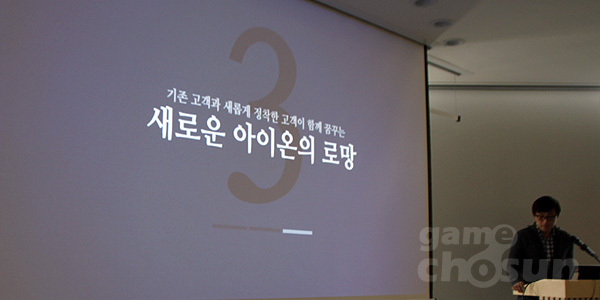 They intend to make changes to the system to give players more options for acquiring glory points in the future. The final question brought up was to ask about the contents and timeframes of Rhapsody 2 and 3 for the Wind of Destiny update. Currently, the only one with any solid information at this time is Rhapsody 1. 2 and 3 are still in the development process at this point in time. 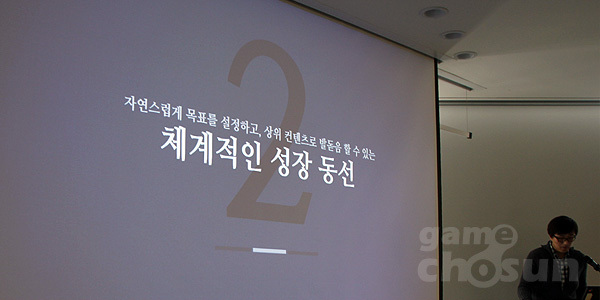 Rhapsody 2 is expected to focus on item contents and intends to introduced ‘unparalleled’ items to the game. Rhapsody 3 will be focusing on the troubles between the races, as they plan to look further into the confrontational natures of the Elyos and Asmodians. More details on these updates will be in the future. For now, the test server will see Wind of Destiny arrive on 11/12, and the developers hope that the players will enjoy the update. This is something I’ve talked about, regarding the #GamerGate and #StopGamerGate2014 hashtags on twitter. The problem that I’ve seen with “hashtag activism” is because anyone- I mean anyone– can co-opt a hashtag. 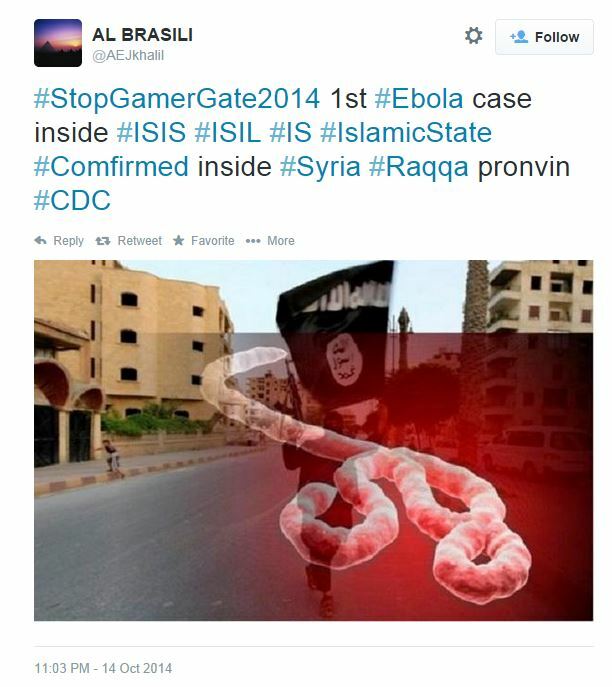 The screenshot of the ISIL/ISIS tweet above, for example, proves this, as it is utilizing the #GetWellSoonAshton hashtag to make it more visible. When you go onto twitter, you don’t have anything that forces you to use one thing or another, and you certainly can’t ‘authenticate’ the use of a hashtag. This makes it an open use ‘term.’ Hashtags are really just keywords designed to be easily searchable on twitter in the first place, as they are using the # sign to identify them as such. You can see them in web design in metadata, and in fact- the use of them on twitter was inspired by the channel titles from IRC, suggested by Chris Messina in 2007. This is the problem with laying blame on a single hashtag, for stuff. I will not argue that there’s poison in the #GamerGate hashtag, but considering the fact that I’ve seen harassment and doxxing happening from the #StopGamerGate2014 hashtag shows that the pot should be calling the kettle black. Both have their points, but both have their detractors as well. However, something that surprises me with people proclaiming 100% faults on both sides has told me that these people don’t understand how twitter, and consequently, hashtags work as a whole. With that, I want to point back to the statement that I made about the “co-opting” part of this. I had commented to someone on a messenger early on in the situation with #GamerGate that I would not be surprised if people from outside of it were choosing to fan the flames by trolling both sides. I can point to the #CutForBieber hashtag and the debacle surrounding that to help add to my case, even. This was a twitter prank started by members of an infamous trolling group known as GNAA, and soon the prank eventually took off on its own. Or what about #EndFathersDay that was started by /pol/? There’s a very frightening, and dangerous, thing about both of these hashtags, though: they took off on their own. Girls who are fans of Justin Bieber ended up picking up on the #CutForBieber hashtag, and feminists jumped onto the #EndFathersDay hashtag- because the original, trolling, posts were completely believable and people took them as a real trend- and as such, the did trend with the help of ‘normal people’ involved. The screenshot above comes from the FYAD forum of SomethingAwful.com. A user there (known as ‘Goons’ on the site) is proclaiming that ‘Goon-Started Drama’ has made the front page of the New York Times. What was it that made the New York Times? An article on the threats sent to Anita Sarkeesian. As a result, we have Goons making trolling claim from this. Then there’s also been the fact that a journalist in Brazil got outed as being a stalker for Anita. Are both of them part of the #GamerGate movement? Personally, I doubt it. But it’s certainly easy for them to pick up a hashtag. I can’t say that it really was the Goons that were behind the threats and it could still be someone from #GamerGate, or it could be a conspiracy theory of someone from #StopGamerGate2014 trying to perpetuate the issues. Without proof of any of these situations, we can only offer speculation- just because they used the hashtag still isn’t proof enough, as it’s just as easy as loading twitter.com and typing it in yourself. Worst case scenario of hashtag co-opting: say a hashtag calling for support of Taylor Swift started on twitter. Let’s just use #ISupportTaylorSwift as the hashtag in this hypothetical situation. This makes your tweets easily searchable by the other users of said hashtag to find and gain notoriety. Users of the hashtag will become more and more known amongst the other users, and retweets will happen left and right. I can see it being fully possible for a stalker of Taylor Swift to see the hashtag and utilize it as a method of getting more ‘infamous’ in the circle of fans that may be closer to her than others. An outlier of the fandom utilizing a hashtag that they may, or may not, fully honestly support, as a means to an end. This is why you find many hashtags with traffic from southeast Asia, too: bots will co-opt them to gain more visibility. In the end, this is one of the several reasons why twitter- while an amazing social media platform, in my opinion- can be a problem regarding the need for communication for a greater cause. 140 character limits + completely open medium. The only form of privacy you have on twitter is simply the ‘yes’ or ‘no’ option of locking your account. Everything you tweet is public. Everything. And it can be archived. You don’t want the world to know about something? Please for the love of God, don’t tweet it. The internet most certainly does not forget, even if you delete it. It would do many people some good to not forget this detail. Twitter is also very noisy. Very, very very noisy. A single tweet is like a drop in an ocean- and only has as much impact as its influence- the followers of the account, how public the tweet is, and its potential for retweets. Ellen’s famous selfie at the Academy Awards is a great example of this concept. You can see that it received over 3 million retweets. However, when you think about it, that is a mere fraction of the number of people who actually watched the Academy Awards, which came in to 43 million viewers. A majority of the retweets are likely to have been people who saw it happen during the Oscars and joined in to retweet it. Ellen’s selfie did, afterall, crash twitter- and I remember that a million of those retweets were before the end of the awards show itself. * Twitter has 271 million active users – this is over 1/4th of the world’s population. * 500 million tweets are sent per day: this comes out to about 6,000 per second, and 350,000 per minute. If these numbers hold steady, it will total out to 200 billion tweets in a year. That is enough for every single person in the world to tweet 27 times in a year. That’s a lot. But despite all these shortcomings, don’t let this discount the good that can come from a microblogging platform like twitter. Twitter is also the opportunity people have to be in contact with stars and corporations. It is incredibly useful in customer service applications, and some of the best marketing stunts ever done, I think, have happened on twitter, such as Oreo’s ‘blackout’ tweet during the Super Bowl in 2013. So while this post talks about a lot of the issues of trying to carry the torch of a cause on twitter, don’t let it discourage you. If you wish to use twitter for a cause, then let it be your jumping point. It is the best place to drive up interest and lead people to a place to carry on a much needed conversation. Just don’t let twitter be the only place for your conversation- try to provide outlets that break away from the high speed, busy, and quickly worded shouts that can drown out one’s words and cause. For that reason of being able to communicate with people you would have never met anywhere else, twitter is still my favorite social media platform. However, we all know that even the things we love best still have many, many flaws. It’s just that you need to know how to step around the flaws to make the best of what you love. I started a wordy post about my feelings about twitter and quitting it and the why’s and stuff, then I decided that I just didn’t care that much anymore. I’m too hurt to really bother explaining myself. I’ve realized that I need to set out some ground rules. I didn’t deactivate my account, so I’ll still get emails on DMs. Don’t take that as a reason to DM DM DM DM. I may or may not respond, if I feel like it. I will continue to work on Endless History. I won’t bring my personal commentary in on it. I probably won’t view the main feed, except do targeted searches specifically for the site. Twitter is still a jump off source for some of my articles, so… I can view @mentions from the dashboard of my site and reply to them from there. I will also probably still tweet game related things from @FloofyGaming- I have a bunch of Sen II screenshots to start tweeting again! But for the time being, I’m done being open and chatty. I’ve learned that there’s no room for being unique anymore. You have to be a sheep and march to everyone’s drumbeat- they may not say it to you, but I’m 100% sure that people are thinking it. Anyhow, I’m also still available by the usual venues. I’m not going to immediately turn into a luddite! And maybe I’ll be back to twitter once I have myself sorted out again. I’m very wounded from hurtful things said on twitter, and needed to limp away and hide for awhile. Sticking my head in the sand didn’t help at all, and when I started mass muting 2x the accounts I had muted since my first announcement for it, I knew something was wrong. But I saw several things that got me to thinking some really awful and scary thoughts- and I was in bed, actually entertaining said thoughts, I knew that I had to cut something off from my life. If it was going to be twitter, so be it. I’ll admit, life is suddenly a lot more boring! I wanted to tweet the awesome arrangement of peaches I did on my cottage cheese this morning, for example. At the same time, I feel numb, and it’s kind of a good ‘healing’ numb. I already feel better with what time I’ve taken away from it. Give me a week or two. Or maybe three, four, or more (rhyming~)… but I don’t doubt that the lure of twitter will bring me back into its warm, wonderful fold at some point. The first player vs player test of Blade happened this past weekend, and a bunch of adjustments were made. 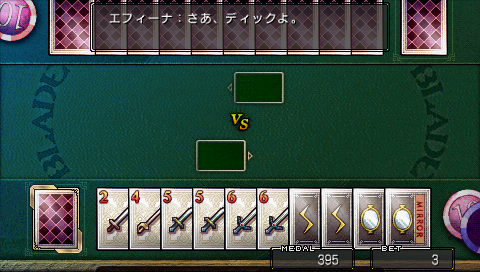 The big adjustment is that the game is now, as you see in the photo above, two decks. 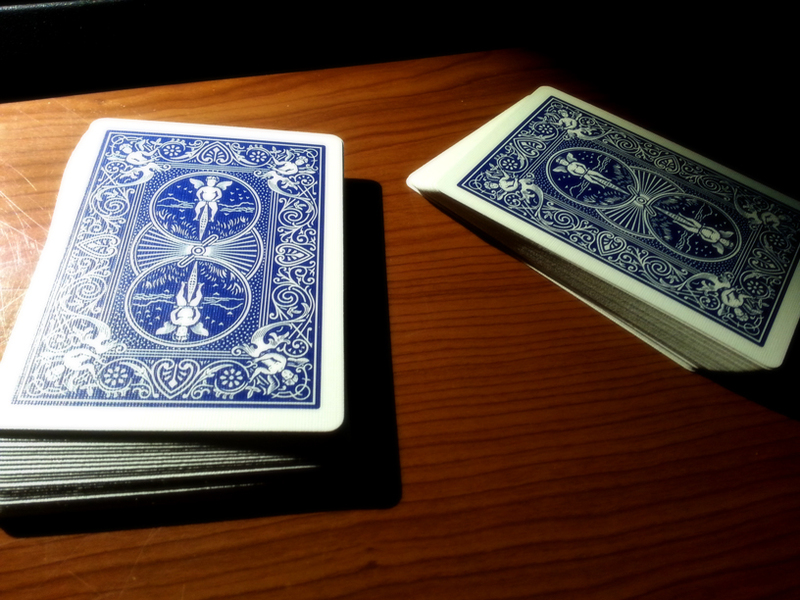 Two decks with 30 cards each. The primary balance is because this will prevent one player from taking all the higher ranked cards, and still maintains a bit of a crazed system between the two. There will be more count tests before the decks are finalized, but there was a moment of doing ‘two identical decks?’ –which I personally felt to be weird. But a magical tweet came to the rescue! 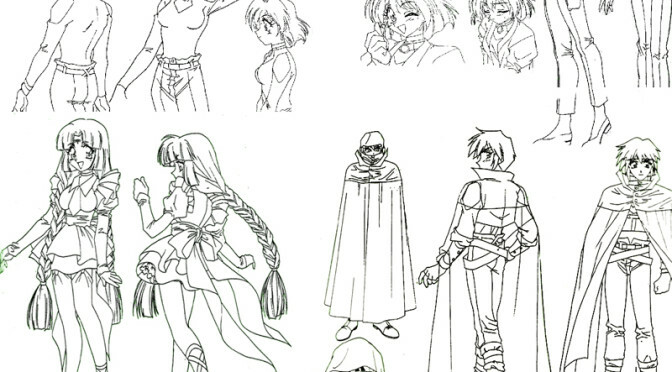 @jdkluv pointed out to me that Blade happens to be in Brandish, too. Despite having played Dark Revenant on the PSP, I didn’t spend much time in the casino and didn’t realize this. As a result, the basis of the second deck has been settled. 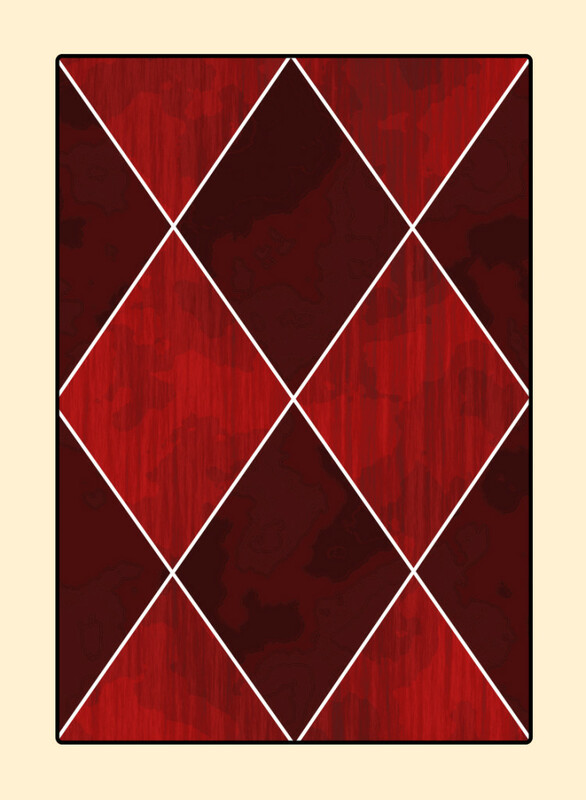 The two decks will be individually distinctive, making it easy to separate them and not let them get mixed up, as they’ll both be in the same box. Speaking of the design, the basis has been outlined with the printer- the game will have the cards, the box, and a booklet packaged with it. 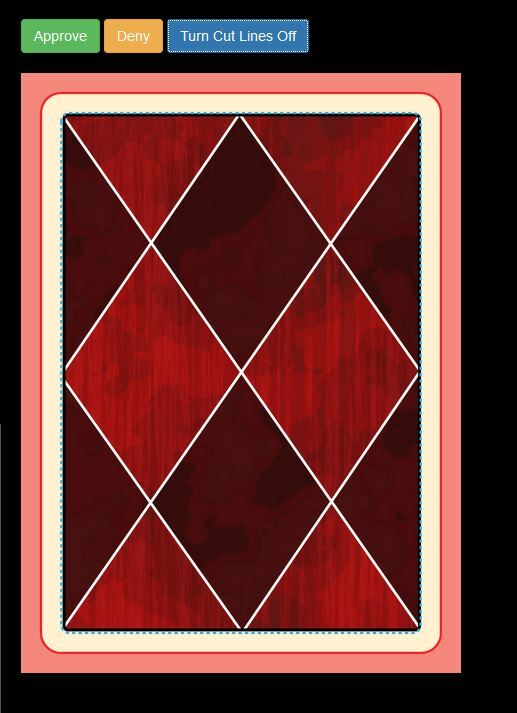 I got my proof done for the back of the Sen deck. When I finally saw the cut lines on it, I was absolutely delighted and amazed at seeing it. It felt good seeing something like this in my own progress. 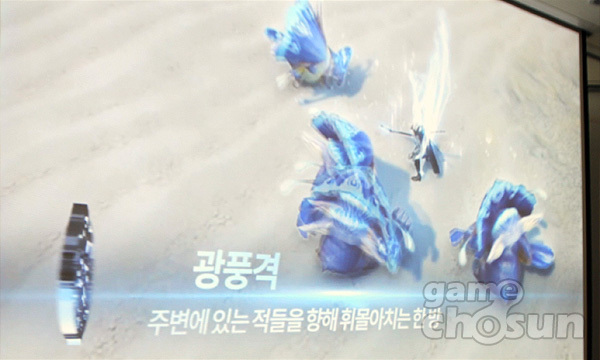 Random Aion Screenshot: Career Change! EPIC in the Vending Business! We gave up the sieging business. Resolutereaver, Dreknok, and I took up jobs helping the appearance and godstone vendors in Sanctum.